Idk about you but I love a good sale, and right now Puma has some great stuff on sale right now! Time to rake in those deals! 1. 28% off a sleek track jacket that'll keep you warm as you go on an early morning jog, or serve as the perfect basic layer for spring! 2. 46% off a pair of classic colorful suede sneakers to pair perfect with jeans, pastels, and even skater dresses! 3. 43% off a pair of basic essential black leggings made with 96% percent cotton, so you know these will be super comfy! 4. 29% off a stylish and cozy crewneck sweater you just may have to buy in every color. The subtle color blocking is 😍. 5. 30% off a men's color-blocked pullover that looks warm AF. 6. 33% off a pair of cute, coral knit running shoes you'll easily slip on when it's time to hit the gym or run some errands. 7. 36% off Tazon training shoes with a breathable sock liner so you can squat without breaking too much sweat. 8. 30% off a comfy classic Puma pullover to layer under all your jean and leather jackets this spring. 9. 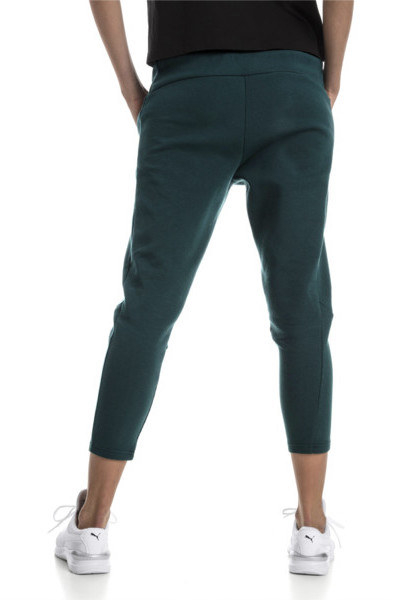 25% off a pair of sweatpants with tapered ankles for anyone in search of style and comfort. 10. 40% off a full zip hoodie with gold lettering all your friends will be jealous off, especially when they hear you got it for under $30! 11. 33% off a pair of lightweight Carson 2 knit sneakers that'll have you ~running~ to hit that "add to cart button" and then some. 12. 50% off a pair of ultra-warm sweatpants featuring lots of pockets and a tapered ankle ideal for everyday wear. 13. 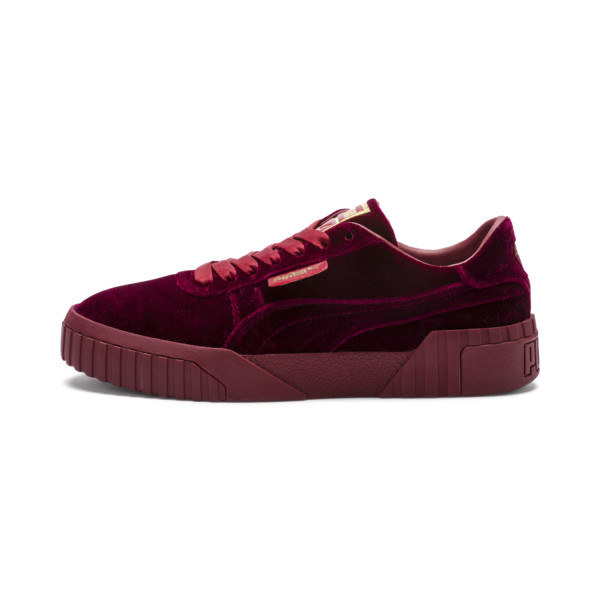 38% off a pair of gorgeous velvet sneakers begging to be a fun staple in your wardrobe. 14. 27% off sleek, cotton-blend pants that are like a cross between sweats and leggings — so basically the dream for leg day or lounge day. 15. 54% off a pair of breathable mesh sneakers with pretty gold details you are sure to adore. 16. And 44% off a pair of men's Ferrari drift sneakers that'll make your feet feel like they're soaring on a cloud!